I’ve been asked to officiate a wedding here in Pennsylvania. This led me down the rabbit hole, which I thought I’d document for my future use. Since their views align with my own, I decided to become ordained through the Universal Life Church [ULC]. Every individual is free to practice their religion in the manner of their choosing, as mandated by the First Amendment, so long as that expression does not impinge upon the rights or freedoms of others and is in accordance with the government’s laws. In my state of Pennsylvania, there are some concerns about the validity of a marriage officiated by a ULC minister. The legal dispute in Pennsylvania comes up based on the interpretation of “regularly established church or congregation”. Dorie Heyer and Jacob Hollerbush were married by a ULC Minister, who was ordained online. After one year of marriage they decided to divorce. Rather than go through divorce proceedings they argued that their marriage was invalid since it had been performed by an officiant who had been ordained online. They were successful and York County court ruled their marriage was never legal. This was based on the idea their minister did not have a “regularly established church or congregation”. In response to this ruling, news outlets carried stories about marriages that may not be valid and the Bucks County Register of Wills went so far as to hold a news conference and urged couples who might be affected to remarry as soon as possible. In response three couples filed lawsuits, with the help of the American Civil Liberties Union, requesting the Court declare the validity of their marriages. Ryan Allen Hancock and Melanie Bilenker Hancock were married by a ULC Minister and asked asked the Court to declare the validity of their marriage. The Philadelphia County Court of Common Pleas entered an order without opinion upholding the validity of a ULC minister-officiated marriage. Peter Goldberger and Anna M. Durbin, were married by a Jesuit priest ordained by the Roman Catholic Church. The Jesuit priest was an itinerant priest who had no congregation of his own and no assignment to any parish. Peter Goldberger and Anna M. Durbin asked the Court to declare the validity of their marriage. The Montgomery County Court of Common Pleas entered an order without opinion declaring valid a marriage performed by an itinerant Jesuit minister who did not have his own assigned church or congregation. This was an important ruling as it supported the idea that even though the minister did not have his own assigned church or congregation, he still meet the “regularly established church or congregation” requirement. Jason O’Neill and Jennifer R. O’Neill were married by a ULC Minister and asked the Court to declare the validity of their marriage. The Bucks County Court of Common Pleas issued an opinion, on December 31, 2008, explaining its decision to uphold a ULC–officiated marriage. You can view this decision online at the O’Neill v. O’Neill Bucks County Court of Common Pleas, No. 2008-01620. In summary, the only time Pennsylvania courts have ruled a marriage presided over by a ULC ordained Minister to be invalid, was in a non-adversarial context where both parties (Heyer and Hollerbush) wanted the same outcome, for the marriage to be ruled void. For the reasons stated herein, we determine the Universal Life Church to be a regularly established church within the meaning of the Marriage Act. Mr. Norman, although not a clergyman in the traditional sense, is a minister of the ULC and is therefore qualified to solemnize a marriage in this Commonwealth. Accordingly, we find that the marriage between Jennifer and Jason O’Neill was lawfully solemnized. We hereby declare that a valid marriage exists between the parties and enter the attached Decree. This is not legal advice, merely my summarization of the information I have read. Look into Pennsylvania’s self-uniting marriage license (see code 23 Pa. C.S.A. §1502) which provides for “marriage by religious ceremony without officiating clergy”. I’m unclear on the “religious ceremony” requirement and that is a rabbit hole for another day. Looking for direction. We are close friends to a current mayor for a town in NJ. Our daughter would like him to preside over her marriage which will take place in PA. what would he need to do in order to perform the ceremony? Based on the “of this Commonwealth” clause, it appears to me that his mayorship in NJ is irrelevant to officiating a wedding in Pennsylvania. I suspect he will need to complete the same steps any non-mayor would have to complete in order to officiate the wedding. Thanks for posting this for posterity. It’s extremely helpful. I’m also going to officiate a wedding through ULC for my sister. She and her fiance are getting their license in Montgomery County. In your experience, did you have go through any bureaucracy or paperwork to be able to sign the marriage license as the officiant? Did you send in the “Letter of Good Standing” to inform the County Clerk? I contacted the office of the Register of Wills in my county and at that time they were very clear that they did not require a “Letter of Good Standing” or any other paperwork. I suspect this varies greatly, so I’d certain check with wherever the paperwork will be submitted. This was very helpful. Getting ready to officiate a wedding in Adams County and feel confident in my standing. Thank you very much! We live in Florida (my daughter and her fiance) and my daughter is getting married in Pennsylvania this October. Her best friend (cousin who lives in Nebraska) wants to perform the ceremony. Can they just obtain a marriage license now in Florida before the judge, and have the ceremony in October for friends and family? Would her cousin need to obtain a notary license for the state of Pennsylvania etc.?? It is indeed a complex topic and I am by no means an expert. This page is just a summary of the information I’ve found on the topic. 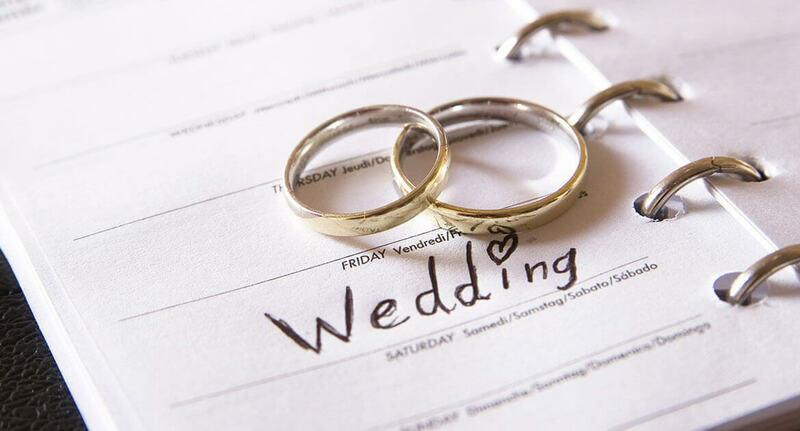 One note I can share from my experience is that if they are getting married in Pennsylvania, they will have to get their marriage license in Pennsylvania no more than 60 days and no less than 3 days before the ceremony.